THERE are few circuits in the south more generally prosperous than Chippenham. Not that our people are wealthy; on the contrary; but the attendance at the services, the spiritual tone of the worship, the fine circuit spirit, the loyalty to each other, and specially to the minister, are of such an order as to be seldom surpassed. 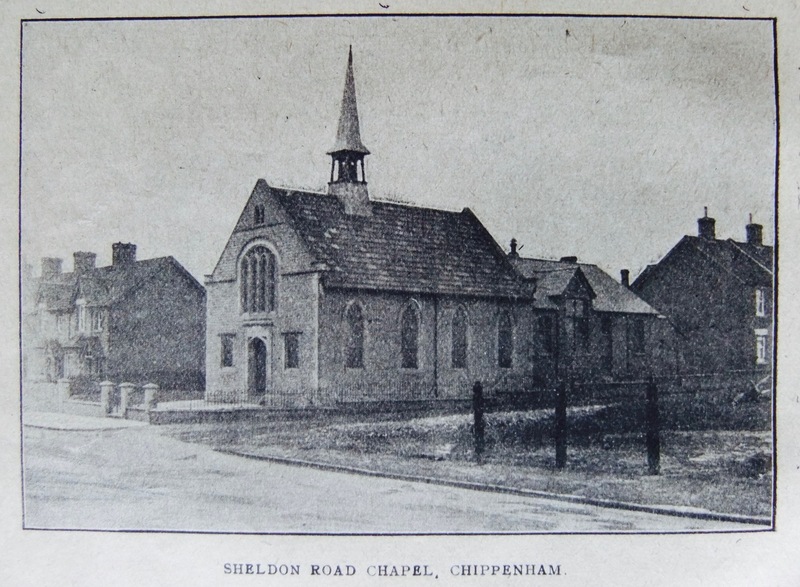 It is uncertain when Primitive Methodist Preachers first came to Chippenham. The town and district were presumably missioned from Brinkworth, for they were originally part of that famous old circuit. Chippenham was made the head of a branch in 1834, and a year later was given independence. The work progressed rapidly and preaching places were established as far south as Tillshead, in the centre of Salisbury Plain. Some idea as to the size of the circuit may be gained by the fact that when it was divided in 1838, Lavington becoming a Circuit, Chippenham was left with three travelling preachers, forty-four preaching places, and 325 members. The minute and account books of those early days are full of interest, and throw many sidelights upon the enterprize and enthusiasm of the men and women whose very names are for the most part forgotten. We discover, too, their limitations, and gain some knowledge of the times in which they lived. It may not be out of place, therefore, if I give a few of the facts these old books reveal. The accounts were kept with great care; the most trivial item being recorded. The ministers‘ salaries were calculated according to the weeks, he, or she, had been upon the circuit. This was necessary because preachers were called out to travel any time during the year, and sometimes did not stay many months in one place. The Superintendent received £9 2s. per quarter; the single preacher only £4, but the person with whom he lodged was allowed 4½d. per meal for his food, and 5s. every three months for washing, soap and candles. The third preacher was a lady – a Miss Gale – who was paid 3s. 3d. per week, with an allowance of 4d. a meal for food. There is no mention of soap and candles in her case. Apparently the work was too heavy, or the food too meagre, for this good sister broke down in health. A curious item which occurs during the first two years is the Circuit Steward’s salary, 1s. per quarter. Lest this should make some of our present stewards yearn for the good old days I hasten to add that there was a deficiency of about £16, though some of it was owing to the ministers and not to the steward. In 1839, the year in which the penny post was introduced, we get such items as: “letter to H. Bourne, 10d.”; “letter to Presteign, 9d.” “Hope springs eternal in the human breast,” We may live to see the penny post again. If preachers failed to publish collections they were fined and apparently the fines were paid. A travelling preacher is charged with unconstitutional conduct, fined £1 and sent back to the circuit that called him out, with the request for another man in his place. The irony of the situation was, that the culprit, as Secretary of the Quarterly Meeting, had to write the minutes condemning himself. Sometimes members of the Quarter Day must have expressed themselves too forcibly, for it is decreed “that if a brother use improper language he shall lose his vote for the rest of the day.” A more serious fault was to communicate the business of the meeting to an outsider, for this, the punishment was loss of seat for twelve months. There is an amusing narrowness about some of their discussions and decisions. One brother is charged with frivolous speech, another with sliding on the canal, and yet another with walking to fetch his clothes on Sunday. A note of reproof is sent to Brother Yell: for improper conduct, keeping late hours when courting. Once they gravely debated whether a brother should be allowed to wear a collar to his shirt. In this case, after a “prolonged and heated discussion, the progressives won. Yet what grand men they were! Ignorant and unlearned for the most part, but fired with untiring zeal, and manifesting marvellous devotion. Their enterprize and enthusiasm carried them into all sorts of places; not a village was overlooked, nor even a few houses in some remote spot missed. Ever they were pushing on, claiming new territory for Christ and His Church. Lack of funds did not deter them; if Travelling Preachers were not available they called out one of their own number and sent him on. They sang and preached wherever there was folk to hear; established preaching places wherever folk would come to listen. If their names are forgotten, their work remains, and if their methods provoke a smile, their success makes us envious. Some few of the sons and daughters of these pioneers remain with us still. They have grown old in service and their ranks are thinning fast, but they possess an individuality and a strength of character which clearly indicates the quality and intensity of the religious influences which played about their early years. Prominent amongst these is Mrs. Little of Kington Langley, a veritable mother in Israel. Her late husband was a stalwart on the circuit. Her son, Mr. H.B. Little, is a Local Preacher and one of our Circuit Stewards. In the days of long ago, Hugh Bourne was a guest in her home. While her father-in-law, a notorious wrestler, founded the Kington Langley Society. He had gone one day with some of his boon companions to disturb a Ranter Meeting by pushing a donkey foal through the door, but he was seized with conviction and became a member of the Primitive Society, and together with his companions sought to establish and advance the very cause they had so recently endeavoured to destroy. 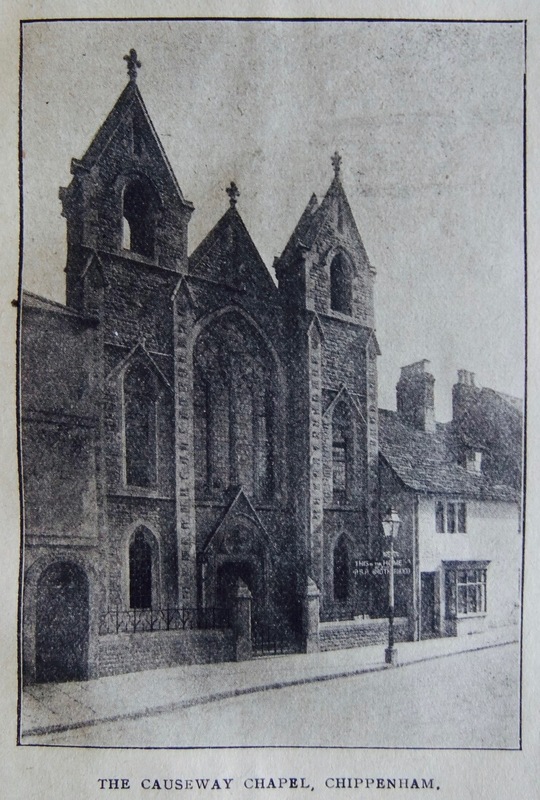 Fifty-years ago next March (1922) Mr. C. Hancock and Miss Moore walked from the tiny hamlet of Thickwood to Chippenham to be married at the Primitive Methodist Chapel, a distance of seven miles each way. They must have been a picturesque couple. They possess photographs of themselves as they appeared then. The distinctive features about their dress was, that she was wearing a crinoline and he a very tall hat. They commenced married life at Box Hill. 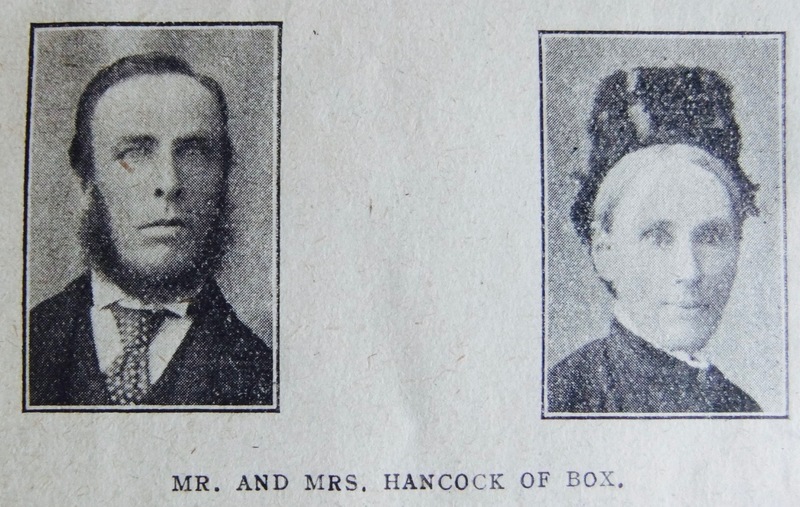 At that time, our preachers used to preach in the streets of Box, Mr. and Mrs. Hancock opened their house for services, which were held there regularly until the chapel was built. They live at Box still, honoured and dearly loved. 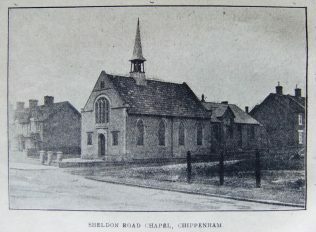 We have nine chapels on the circuit, two of which, the Causeway and Sheldon Road, are in Chippenham. The Causeway is an old established Society. The services are well attended, and we have many splendid workers. The Mayor of Chippenham, Councillor A.H. Stevens, is our Organist and also President of the Brotherhood. His father, the late Councillor C.R. Stevens, was intensely devoted to the welfare of the circuit, serving as Local Preacher, Sunday-school Superintendent and Circuit Steward. His mother. Mrs. C.R. Stevens, is also very loyal to our church and interested in all that concerns its well being. At the present time she is rendering splendid as President of the Sisterhood. We have recently lost the School Superintendent, Mr. F. Baker. He was a man of strong personality and did useful work. Mr. Steward Cook is filling this place. There are many others at the Causeway whose work deserves mention; such as Mr. A. Dancey, who will do anything and do it well; Mr. Hinder, a veteran Local Preacher and Teacher; Mr. Sutton, the Circuit Secretary and District Secretary for the Local Preachers’ Training Committee, Messrs. Clifford and Phillips, known as David and Jonathan, because they are inseparable in friendship and service, and many, many more equally worthy of mention if space would allow. The Lowden Church, Sheldon Road, is also very prosperous. Hugh Bourne preached in Lowden nearly eighty years ago. Some years later Mr. Jacob North opened his house for preaching. The old chapel was built in 1855. Jacob North commenced the Sunday-schooi with twenty-nine scholars. Only one scholar could start a tune and she only knew one, a C.M. “Devizes.” They sang that tune to various C.M. hymns for seven months. 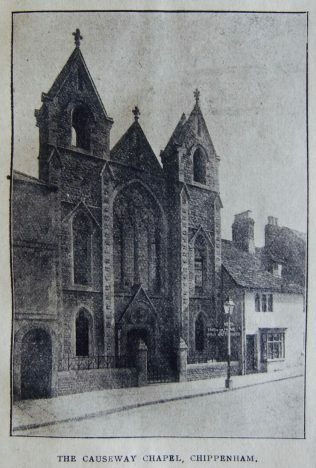 The new chapel and schools were built in 1891. They are altogether inadequate for present needs and as soon as circumstances allow new schools will have to be built, and the chapel enlarged. Mr. Brewer, co-Circuit Steward with Mr. Little, has charge of the Sunday-school. He is a man of generous heart and is as keen to serve the church as most men are in business. The Choirmaster is Mr. G. Wooldridge, who is also Leader of the C.E., has a great influence upon the moral and spiritual tone of the services. Mr. T.W. Hays, District Secretary of the Laymen’s Missionary League, is also a member here. Though totally deaf, and afflicted in speech, Mr. Hays attends all services and is ever anxious to do whatever he can for Primitive Methodism. He is a most capable Book Steward and sells a large proportion of the magazines that come to the circuit. One might say much of such faithful workers as Mr. Shewring, our Society Steward, Mrs. Daniels and Mrs. Davis, who have charge of the Sisterhood, Messrs. Marsh, James, Barnfield, Dolman, Hales, Goulding and Williams, who are preachers, Messrs. Gardner, Daniels, Tanner, Reed, Coleman and others, who are doing excellent work, but I am afraid the Editor wouldn’t give me the necessary space. For the rest of the circuit most of the Societies are quite healthy. Biddestone and Corsham are weak, but better days will come, meanwhile our friends will go bravely on. Kington Langley, Marshfield, Box Hill, Colerne are all thriving, each with its band of loyal folk. The circuit spirit is excellent. When the large increases in Connexional levies, salary and rates made the Society allocations ridiculously insufficient, it was decided not to revise the allocations, but to ask each Society to send as much as possible. This they agreed to do, and there has never been any difficulty. When my predecessor, the Rev. F.C. 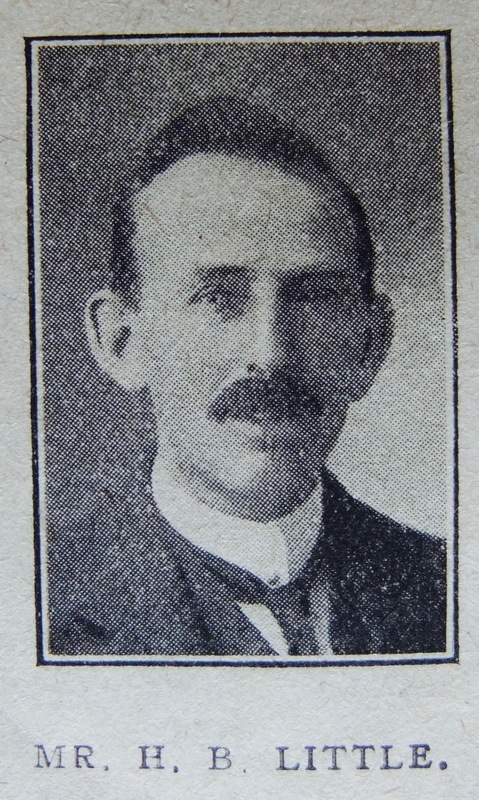 Dyer, came to the circuit in 1916, the Trust debts were, £1,019. He organised a scheme whereby the debts were pooled, the entire circuit undertaking their liquidation. The debts have been reduced to £328, and it is confidently expected that in a few months they will be wiped out. Just now we have the fine example of five debtless Societies helping the remaining four to pay their debts. I have only just commenced my ministry here, but my predecessor will endorse all the good things I can say about Chippenham. “Paint me as I am,” said Oliver Cromwell, while sitting to young Lily. “If you leave out the scars and wrinkles I will not pay you a shilling.” Should this brief sketch reveal neither scars nor wrinkles, it is not because I have overlooked them, or tactfully smoothed them away. There are very few, or none here, unless we look away from the people to the face of our rugged and beautiful country, then one would have a different tale to tell. A short history of 50 years work and service in connection with the Lowden Primitive Methodist Sunday School and Church by C.R. 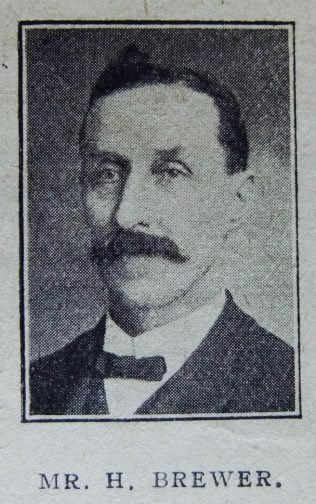 Stevens, Circuit Steward of the Chippenham Circuit. Thanks to David Young for the copy of the History of Lowden Primitive Methodist Chapel that has been added to this page. North Wiltshire and Primitive Methodism.